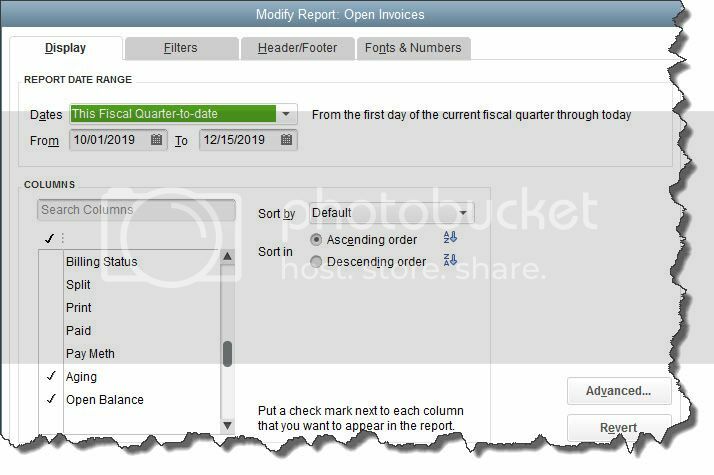 How QuickBooks Helps You Accelerate Receivables - August 2015 - QuickBooks Tips - News | Kutchins, Robbins & Diamond, LTD.
You're meeting your sales goals. Keeping inventory balanced. Making sure that every billable hour gets invoiced. Taking advantage of vendor discounts. Basically, doing everything in your power to keep cash flow humming. But you can't control how quickly your customers pay you. A more professional image. What do you think when you purchase goods or services from a business that doesn't accept credit cards? In 2015, this is unusual. It may make customers wonder why. And you work too hard to preserve your reputation to give anyone reason to question your standing. Time savings for you. How much time do you spend logging checks and running to the bank with deposits? It's must faster to simply record a credit card payment. Convenience and goodwill for customers. Your customers will appreciate the time that they'll save, which translates to a feather in your cap. There are extra costs associated with setting up what's called a "merchant account." And you'll have to learn how to set up an account and process payments. 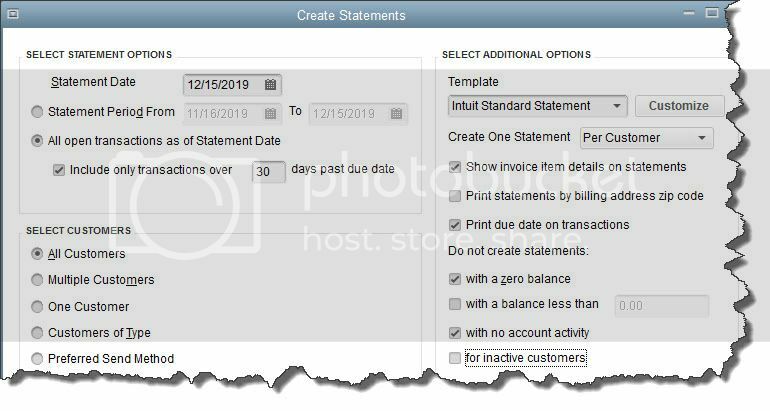 But once you've done so, you'll be able to invoice customers in QuickBooks and let them pay immediately by credit card. If you ever have occasion to accept payments out of the office, you'll be able to use your smartphone or tablet to accept them. We'd like to see you take this positive step for your business, so let us know when you're ready. We'll help with setup and implementation. This may be an area of QuickBooks you've never explored. Statements are just what they sound like: detailed summaries of what each customer owes over a period of time that you email or print and send by U.S. Mail. SELECT ADDITIONAL OPTIONS. You'll have several decisions to make here about your statements' content and appearance. Let us know if you have questions about any of these. As a small business owner and/or manager, there are certain QuickBooks reports that you should be looking at frequently. One of them, Open Invoices, gives you an instant status update on your outstanding receivables. But it's important that you set up the report to give you the exact information you need. There are other reports you'll want to look at regularly as you try to accelerate incoming customer payments, like A/R Aging Summary and A/R Aging Detail. If we're not already working with you on reports, creating and analyzing the critical financial reports that we should be generating monthly or quarterly, let's set up a meeting. We can give your copy of QuickBooks a tune-up at the same time to ensure that you can keep accepting those payments accurately.